Learn all about this new online course for high school students! What is Biomedical Engineering Innovation? Biomedical Engineering Innovation is an online college course offered to high school students who have completed the Engineering Innovation program. Biomedical Engineering Innovation introduces biomedical engineering to high school students by (1) modeling biological systems and designing experiments to test those models and (2) introducing engineering principles to solve design problems that are biological, physiological, and/or medical. Students will model human efficiency, the arm, and the cardiovascular system. Students are expected to use the informational content being taught in math, physics and biology and to apply this knowledge to the solution of practical problems encountered in biomedical engineering. Students who earn an A or B grade in the course receive 3 credits from Johns Hopkins University. If you are accepted to and matriculate as an undergraduate student at JHU, the credits awarded by JHU for this BMEI course are available to count towards your undergraduate degree at JHU. Credits may be applied towards your total required credits to graduate. 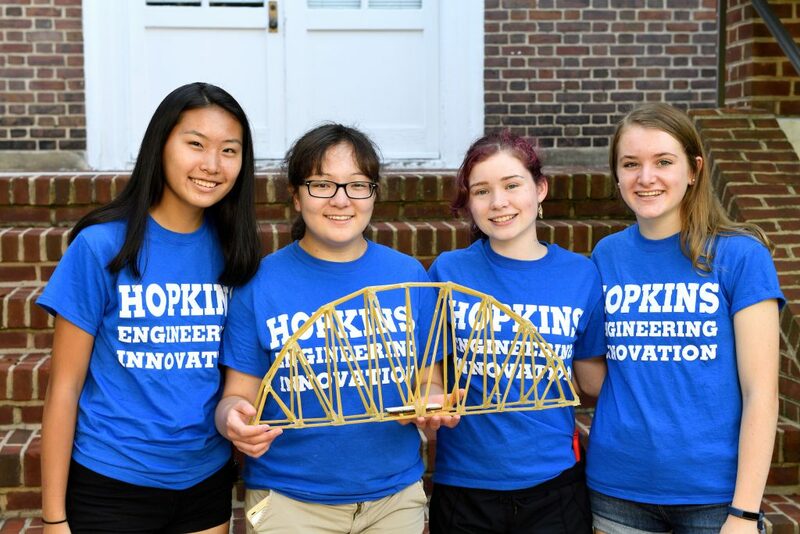 Admission to the Biomedical Engineering Innovation Program does not automatically guarantee admission into the undergraduate program at Johns Hopkins University. You will learn about Biomedical Engineering from experts in the field through lectures, assignments, and hands-on design projects. Completion of a computer programming assignment and programming movement in a modular prosthetic limb. You are a current high school student or 2019 high school graduate. You took Engineering Innovation and earned credit (A or B course grade). How is this different than other online courses for high school students? Most of the course details are contained in the syllabus. Download the syllabus here. January 28 – May 16, 2019 – This is a 14-week spring semester. July 1 – August 2, 2019 – This is a 5-week summer semester. BMEI is a fully online course with most elements being completely asynchronous, meaning they can be completed at any time within a given time period (typically 1 or 2 weeks). The course materials are divided into modules which can be accessed online via the Blackboard Learning Management Systems (LMS). A module will have several sections, including an overview, video lectures, readings, quizzes, discussions, and assignments/labs. Each module will also include multiple live office hour sessions. All additional course materials will be provided to the student as part of the course. A lab kit of materials needed for the various labs in the course which will be mailed out to students early in the course. Students will need a computer that meets our technical requirements in order to participate in this course. Biomedical Engineering Innovation was developed by Dr. Eileen Haase and Dr. Brock Wester. Eileen Haase, PhD, Senior Lecturer, Director of the Undergraduate Program in the Johns Hopkins Department of Biomedical Engineering, and Director of the Johns Hopkins University Applied Biomedical Engineering Program at the Johns Hopkins University Engineering for Professionals Program. 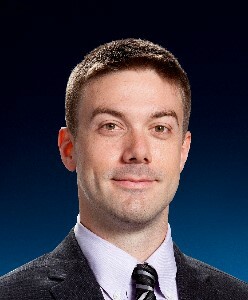 Brock Wester, PhD, Project Manager and Section Supervisor for the Applied Neuroscience area in the Intelligent Systems Group of the Johns Hopkins University Applied Physics Laboratory’s Research and Exploratory Development Department and Vice Chair of the Applied Biomedical Engineering Program at the Johns Hopkins University Engineering for Professionals Program. Students who earn an A or a B will earn 3 credits from Johns Hopkins for the course EN.500.130: Biomedical Engineering Innovation. These students are eligible to request a transcript and can request that these credits transfer to another university if they do not enroll at JHU as undergraduates. The credits awarded by JHU for this BME EI online course are available to count towards your undergraduate degree at JHU. Credits may be applied towards your total required credits to graduate. Tuition is $2850 and Lab Fees are $275. Financial aid is available. $150 of the Lab Fee will be refunded if the student returns their Myoband in working condition. There is no application fee for the Spring or Summer 2019 offerings of this course. Yes! Full and partial scholarships are available based on demonstrated need. You can apply for financial aid as part of your application to the program. Withdrawal notices received on or before the required completion date for the quiz on Module 2 will receive a 90% tuition cost reduction, which is a refund of $2565 for students who did not receive scholarship assistance. Withdrawal notices received after the required completion date of the quiz on Module 2 and before the required completion date of the quiz on Module 3 will receive 50% tuition cost reduction, which is a refund of $1425 for students who did not receive scholarship assistance. No refunds will be issued after the required completion date of the quiz on Module 3. No refunds will be granted to students suspended or dismissed for disciplinary reasons. The Biomedical Engineering Innovation program reserves the right to dismiss a student whose academic standing or general conduct is considered unsatisfactory. To participate in Biomedical Engineering Innovation, you must be accepted and complete the enrollment process. Obtain a digital copy of your current school report card. A photo or screenshot is fine. What are the application and enrollment deadlines? Applications will be reviewed according to the schedule shown in the table below. We will not review an application until it is complete, so be sure to include your class schedule and, if you apply for financial aid, your family’s 1040 and W2 tax forms. Students will be notified of their acceptance via email. Students who choose to accept the offer of admission must submit their enrollment documents and pay their tuition/fees by the listed enrollment deadline. If you have a question about the program, you can contact us during regular business hours (Monday – Friday, 9:00 am – 5:00 pm Eastern time).